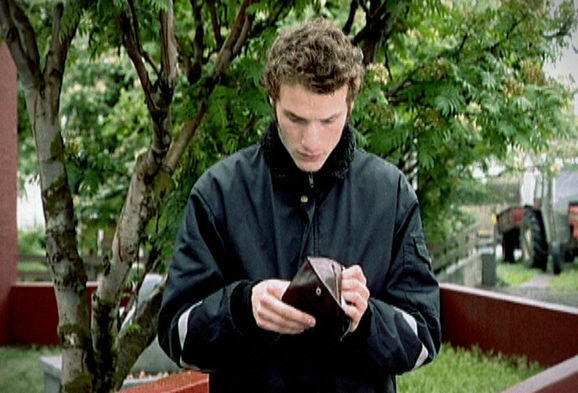 This film tells the story of a young man who finds a wallet outside his home. This wallet gives him a strange feeling he seldom feels, if felt anytime at all. He doesn't want to steal this wallet but deep inside is something that tells him to do it. And he does. Later on he is plagued with so much guilt that he decides to try and make up for this terrible mistake he feels he has done. But that's where the trouble first begins. A story about an unfortunate man and how he lost all his money by stealing somebody else's. Nordic Youth Film Festival, Norway - Award: Nominee for Best Nordic Short from a director 21-25 years old. Nordisk Panoram, Iceland - Award: Nominee for Best Nordic Short Film. Flanders International Film Festival, Belgium - Award: Nominee for PRIX UIP Ghent 2004.
gardanne's European Short Film Competition, France - Award: Nominee for Best European Short Film. Alter-Native Short Film Festival, France - Award: Nominee for Grand Prix/Cocotte Minute. 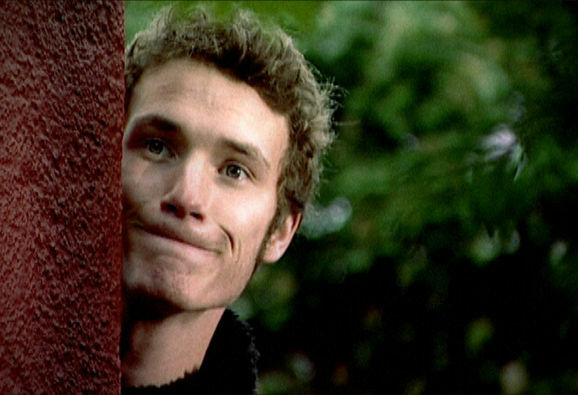 FIKE 2004, Evora International Short Film Festival, Portugal - Award: Nominee for Best European Short Film. Tirana International Film Festival, Albania - Award: Nominee for The Best Film of TIFF.